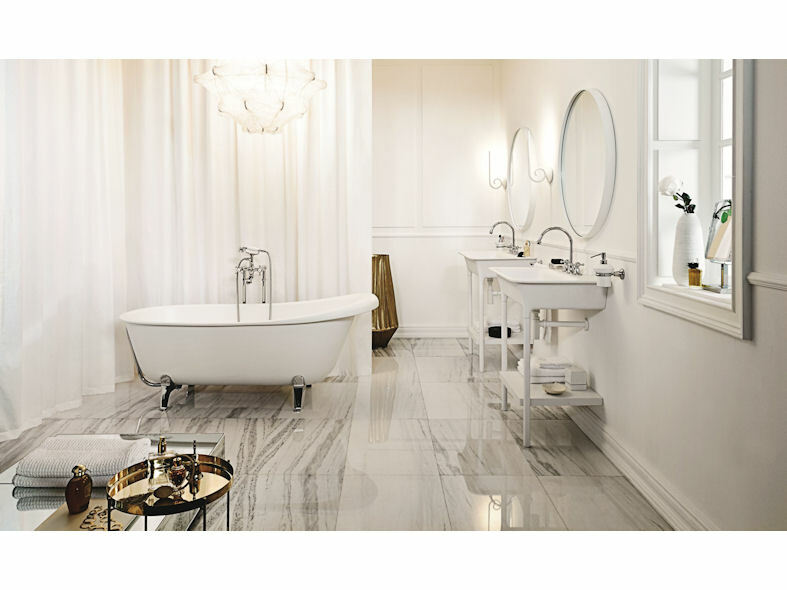 Agorà from Zucchetti is a complete bathroom collection that includes taps and accessories and a free-standing bathtub and washbasin from Kos. Designed by Ludovica and Roberto Palomba, this classically elegant collection draws its inspiration from the Zucchetti archives. 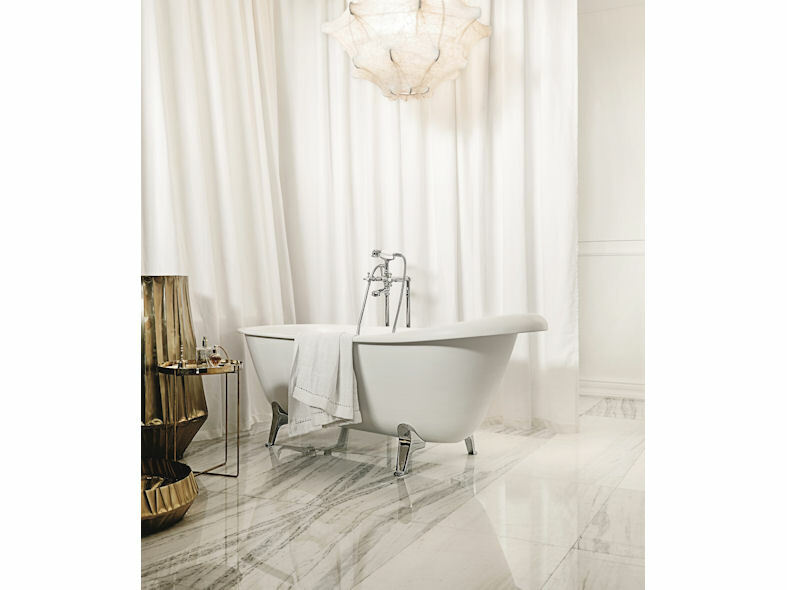 Based on an art deco aesthetic with a contemporary twist, Agorà brings true glamour to the bathroom. Both the bath and basin are made from Silkstone and its velvety touch and matt effect finish further enhances Agorà's vintage yet timeless sculptured styling. A comprehensive selection of taps features a number of different shapes and finishes including chrome, bronze, polished nickel and gold, adding to the versatility of the range. Recent brassware additions include the Agorà Classic, featuring a lever handle in both metal and ceramic versions and Agorà Gem, with its crystal inset decoration for cross and lever handles. Traditional two handles taps collection with cross or lever handles. Materials: Featuring Zucchetti ceramic disks headwork, the body and handles are made from chromed brass and other components in materials all resistant to corrosion and scaling.